A cost estimate means anticipated expenses of a project that is usually made prior to the project is undertaken. On the basis of project requirement, several types of cost estimates are available. It is created in detailed manner with the inclusion of all times of work. Often, it is produced approximately devoid of much detail. 1. Preliminary Cost Estimate: Preliminary cost estimate is also known as abstract cost estimate or approximate cost estimate or budget estimate. This estimate is normally arranged in preliminary phase to find out the approximate cost of the project. With this estimate, the expert sanctioning authority can settle on the financial position and policy for administration section. Preliminary estimates are arranged relating to the cost of equivalent type projects in a practical manner. Under this estimate, approximate cost of each crucial item of work is illustrated individually to determine the requirement and functionality of each item of work. The items of work comprise of cost of lands, cost of roads, electrification, water supply costs, cost of each buildings etc. 2. 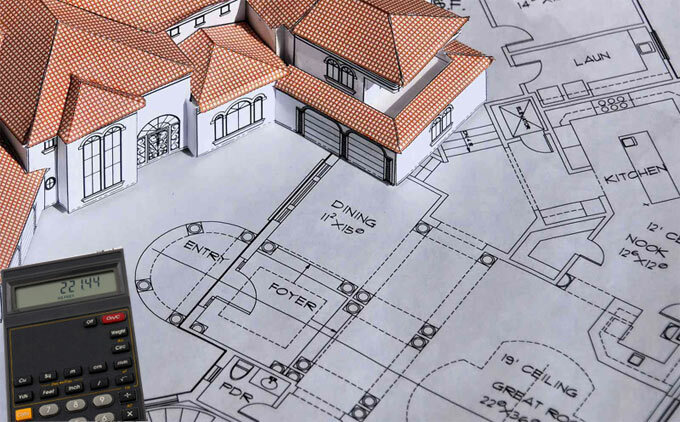 Plinth Area Cost Estimate: Plinth area cost estimate is arranged based on the plinth area of building that is the area covered with exterior dimensions of building at the floor level and plinth area rate of building that is the cost of equivalent building containing specifications in that locality. To measure plinth area, multiply plinth area of building with plinth area rate. As for instance, if it is required to measure plinth area of 100 sq.m in a specific area and plinth area rate of a building in similar area locality is 2000 per sq.m then plinth area estimation is 100 X 2000 = 200000. Open areas, courtyards etc. should not be contained in plinth area. For multi storied building, plinth area estimate is done individually for each floor level. 3. Cube Rate Cost Estimate: To prepared cube rate cost estimate of a building, multiply plinth area with the height of building. Height of building has to be taken from floor level to the top of the roof level. It is ideal for multi storied buildings. This type of estimate is more precise as compared to plinth area method. The rate per cubic meter is considered on the basis of the costs of equivalent type of buildings located in that area. Foundation, plinth and parapet above the roof level are not included in this type of estimate.